Our range of products include dry mortar production line. Dry Mortar Production Line offered to provide for consistent performance quality as well as features precision designs that allow savings on time and labor costs. As it is customized product costing will be varied according to plant capacity and catagory. 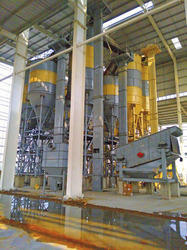 Looking for Dry Mortar Production Line ?